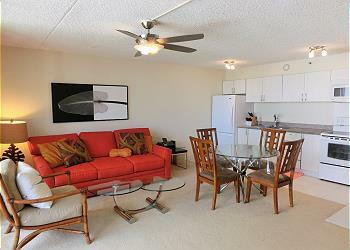 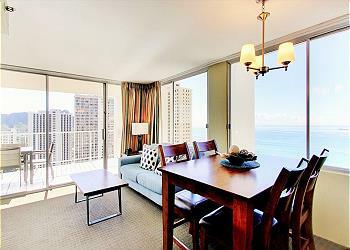 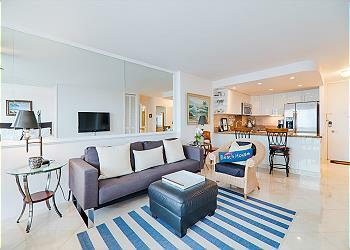 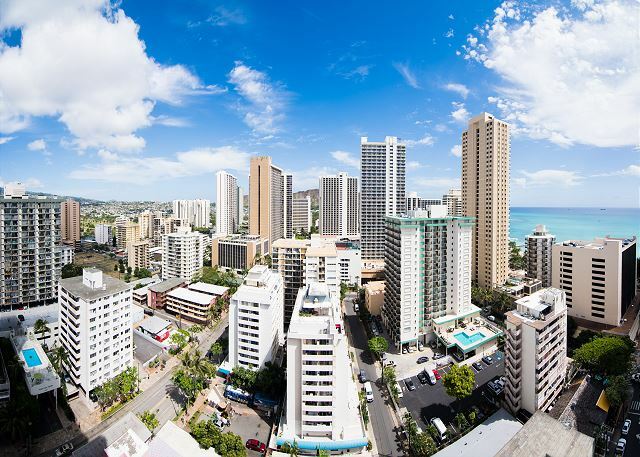 This one bedroom has panoramic view of ocean, mountain and city will be infant of you from the specious lanai. 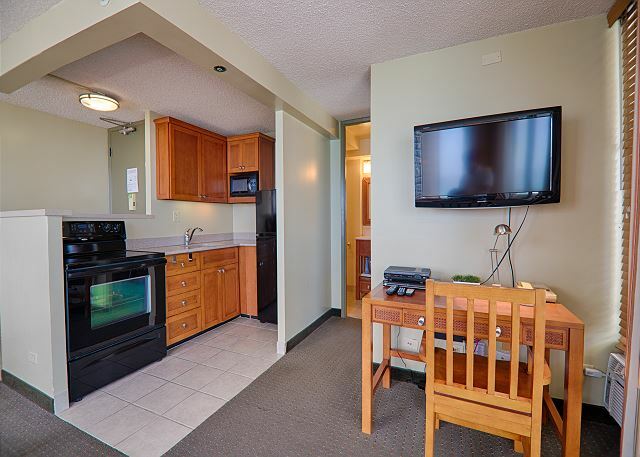 It is equipped with full size kitchen and comfortable living area, you will enjoy cooking as at home enjoyable time with your family or friends.Further more, as wash let and hand shower is installed, we guarantee you the comfort of your stay!! 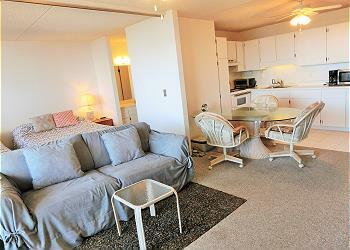 There are two twin size bed in the bedroom and one sofa bed in the living room for extra guests. 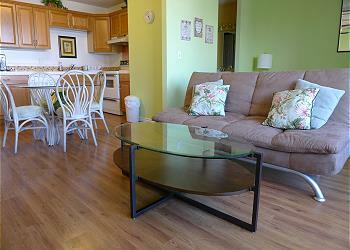 Included with your rental are free local calls, and WiFi Internet, basic cable TV. 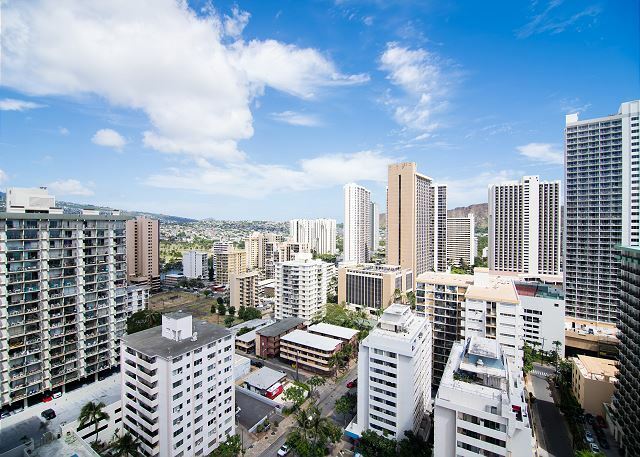 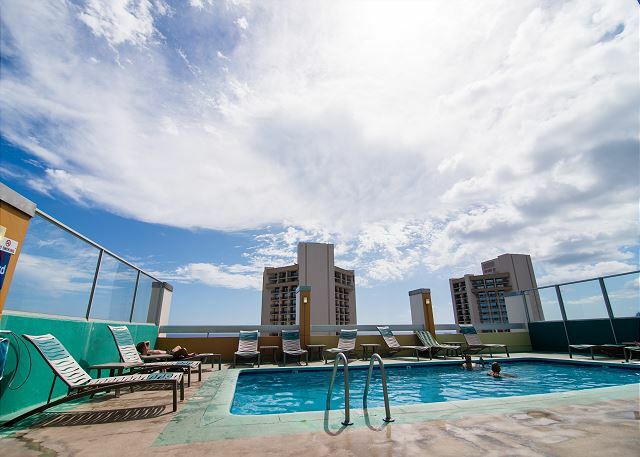 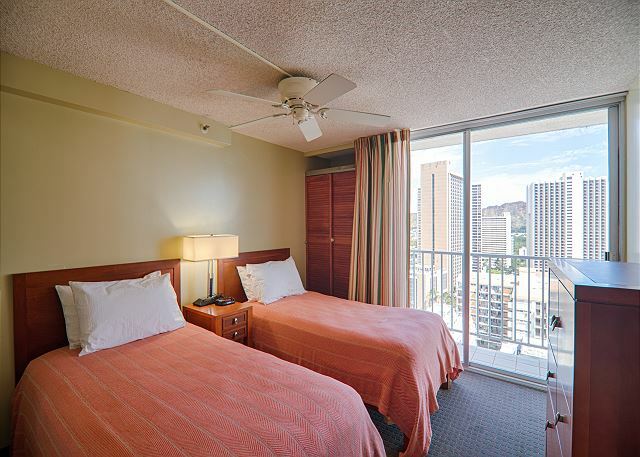 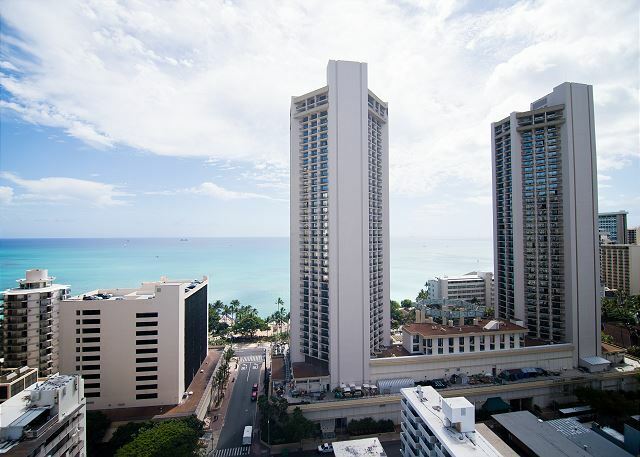 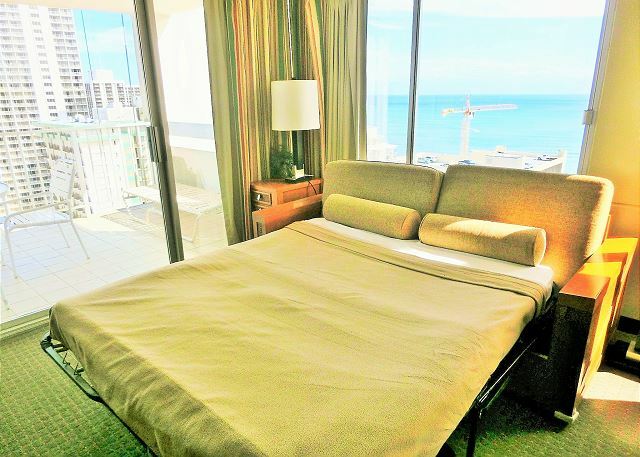 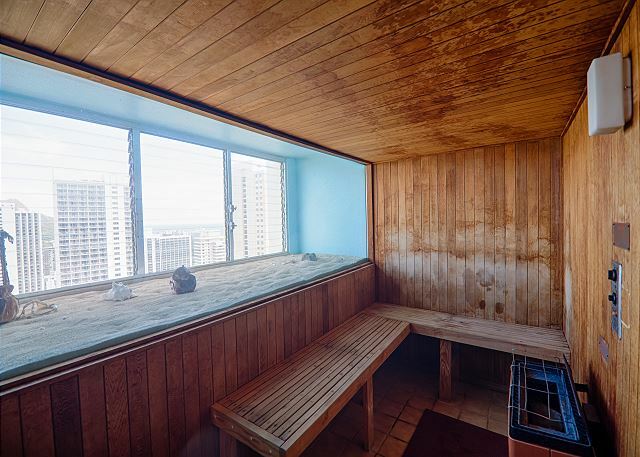 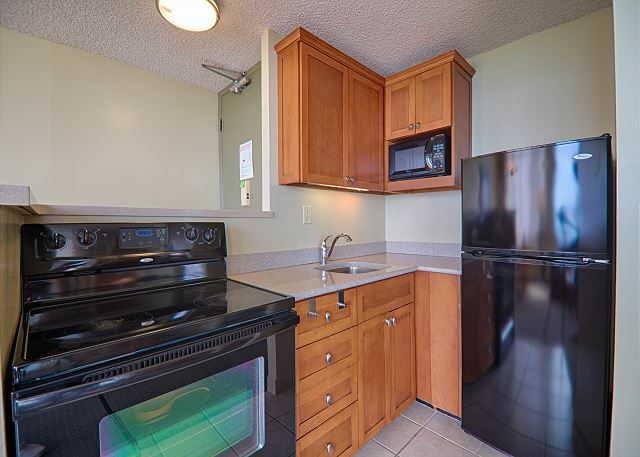 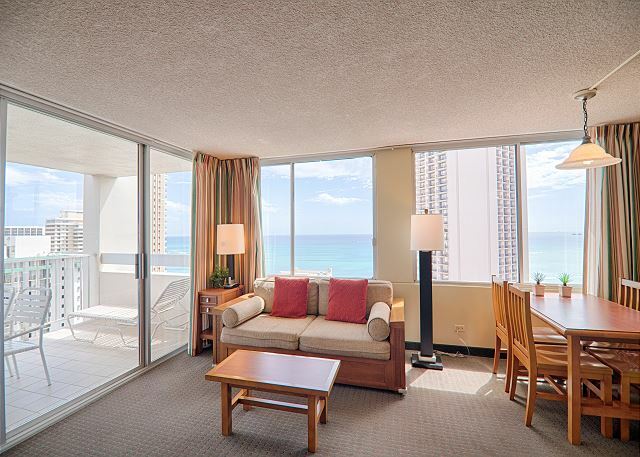 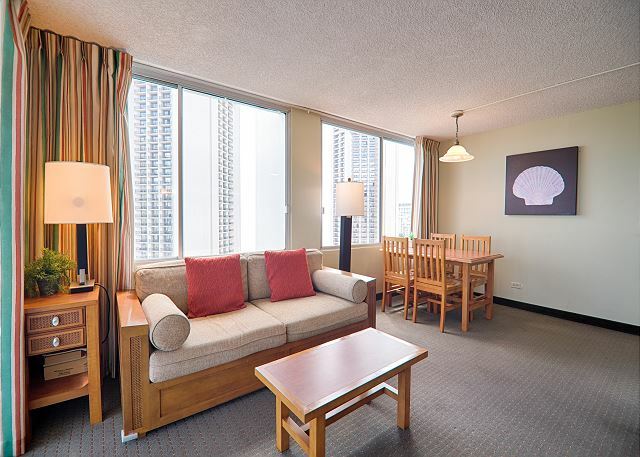 The condominium is located at highly convenience location : 2 minutes walk to beach and grocery store and also bus stop which you can go to Ala Moana or other place is just in front of the condominium. 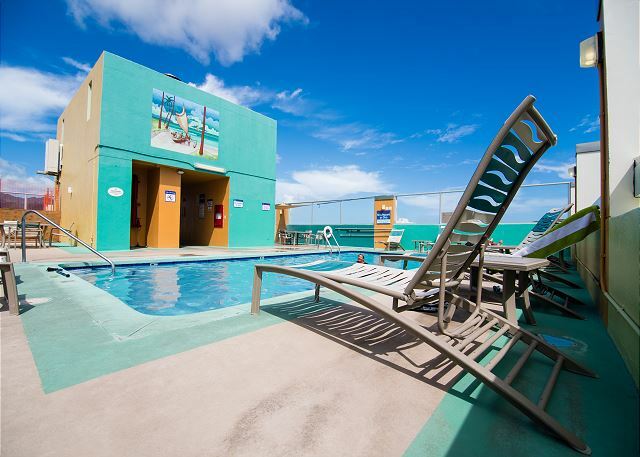 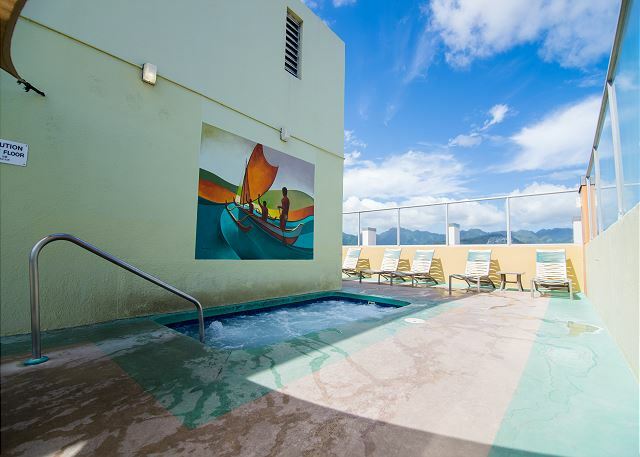 Enjoy sweeping ocean views from roof top pool and sun deck area. 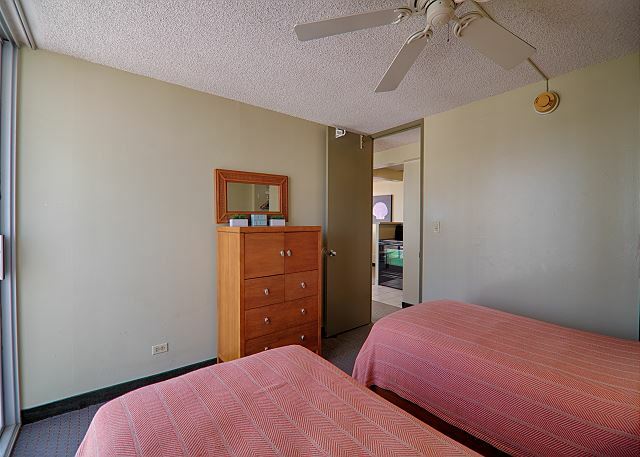 Coin operated laundry at 3rd floor for guest convenience. 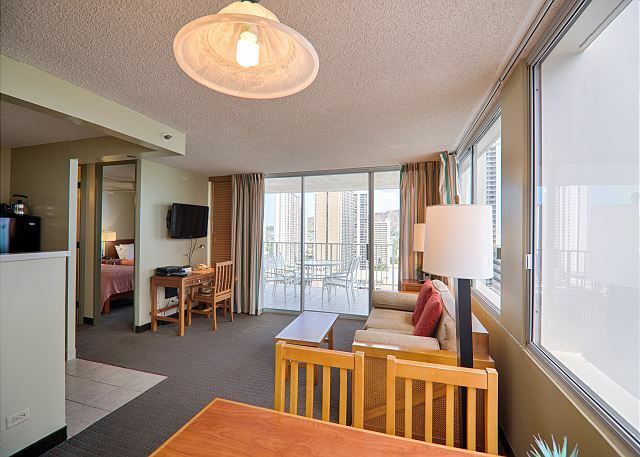 Public parking is available onsite for $30/day (Price may change without prior notice). 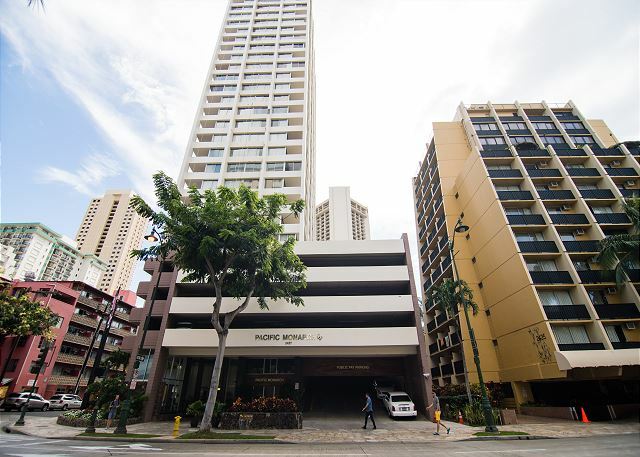 Payments are to be made at ticket dispenser located at parking entrance (Please bring exact amount, ticket dispenser will not make change).